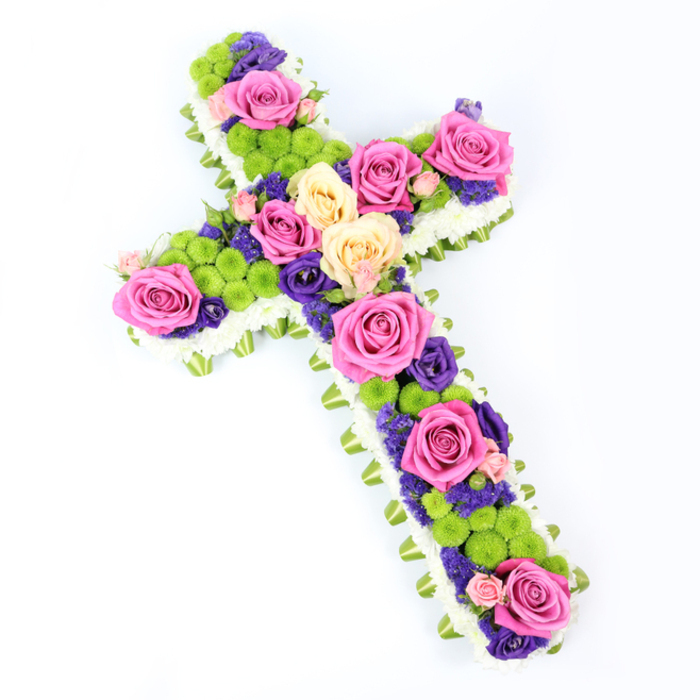 When you need a touching funeral arrangement that represents your heartfelt emotions, love and appreciation to a special someone in your life, this beautiful cross-shaped tribute is a very appropriate choice. It is made of the freshest white and green chrysanthemums, lovely roses, purple lisianthus and blue statice flowers. The recipients confirmed that the flowers were delivered promptly. I'm pleased with the service. The cross was nicely arranged and delivered safely. Graceful arrangement. Very pleased with the high quality service this company provided. Good, very good work. The arrangement was very beautiful. Ordered this cross for a friend's funeral and found the service very convenient. In those difficult times it is really hard to deal with everything. Handy Flowers team were of a great help!